Scania focused on alternative drive systems for its vehicles in fiscal year 2018 and exceeded the prior-year figures for unit sales, sales revenue and profit. The Swedish brand Scania follows its values “Customer first”, “Respect for the individual”, “Elimination of waste”, “Determination”, “Team Spirit” and “Integrity”. All the vehicles presented by Scania at the IAA Commercial Vehicles in 2018 had alternative drives. Among them was a hybrid truck for urban delivery traffic that can run on HVO (hydrotreated vegetable oil) or diesel. The model also has a 130 kW (177 PS) electric motor. 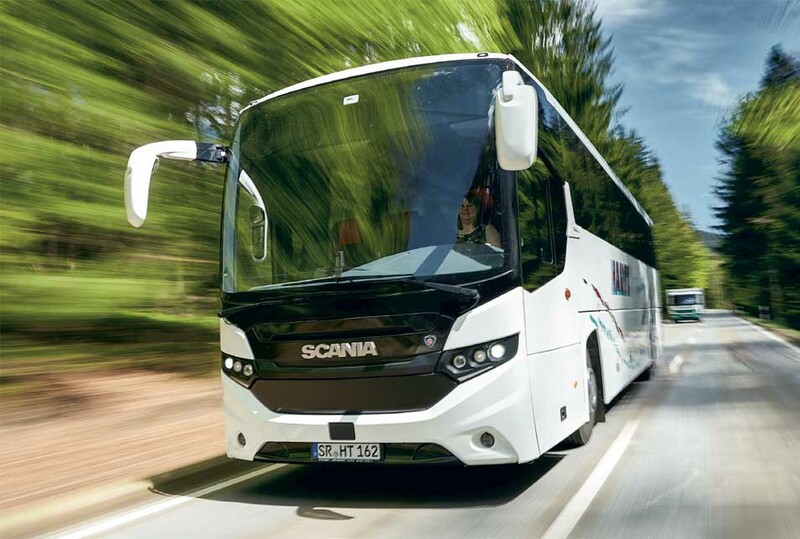 Furthermore, Scania celebrated the world premiere of its first alternative-fuel coach. Powered by liquefied natural gas (LNG), the Interlink MD has a range of up to 1,000 km and is therefore a modern, future-proof alternative in the coach segment. Scania rounds off its modern engine range with a wide offering of fuel-efficient Euro 6 engines that can run on diesel, biodiesel, biogas, bioethanol, compressed natural gas (CNG) and HVO. The key figures presented in this chapter encompass Scania’s truck and bus, industrial and marine engines and financial services businesses. Incoming orders at the Scania brand decreased by 10.9% year-on-year in fiscal year 2018 to 97 thousand vehicles. In Western Europe, incoming orders rose due to Scania’s leading position in Euro 6 engines, long experience with consumption-optimized vehicles and wide range of alternative drive systems. Deliveries by the Scania brand increased in 2018 to 96 (91) thousand vehicles globally. In Europe, sales considerably outperformed the previous year’s figures, and encouraging increases were also seen in Brazil. At 8 (8) thousand units, the number of buses delivered in 2018 remained at the prior-year level. Demand for services and replacement parts as well as for Scania Financial Services was again higher in the reporting period than in the previous year. Scania manufactured 101 (96) thousand commercial vehicles in fiscal year 2018 (+5.8%), of which 9 (8) thousand were buses. The Scania brand generated sales revenue of €13.4 (12.8) billion in fiscal year 2018. Operating profit improved by 4.4% to €1.3 billion, particularly as a result of the higher volume, positive mix effects, favorable exchange rate trends and a better financial services business. Meanwhile, cost increases had a negative impact. The operating return on sales amounted to 10.1 (10.1)% in the reporting period.